A CBT Test in East London is technically not a test but a day of instruction with the end goal of making you safe on a motorcycle on the road. The CBT Test in East London is a full day of training lasting between 6 to 8 hours and requiring a base of ability and knowledge relating to the UK Highway Code and being able to ride an adult size bicycle. The Compulsory Basic Training, referred to as the CBT Test, also requires you to have a UK Provisional or Full Driving Licence or an EU Driving Licence that has been registered with the DVLA using a D9 form. 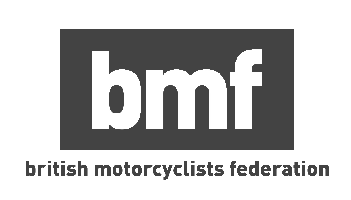 Once completed the CBT certificate allows the rider to drive a motorcycle on the road unsupervised for a period of two years, however, there are restrictions which prevent learner riders from carrying a passenger or going on a motorway. The only other restrictions relate to age, if you're 16 years old you can ride a moped up to 50cc and if you're aged 17 or over you can ride a motorcycle up to 125cc. There are four of our CBT Test Partner Sites in East London. Our sites are in Dagenham, Thamesmead, Barking and Sidcup. The site in Dagenham is based at Barking Rugby Football Club and is a short walk from Becontree Underground Station and there is also onsite parking for those who wish to arrive by car. The Thamesmead site is at the Lakeside Centre which has excellent road links meaning it is possible to get there on multiple bus routes. The RideTo site in Grays is at Cowdray Hall and has two railway stations nearby, Chafford Hundred and Grays. Finally to the South East we have our site in Sidcup. To get started all you need to do is put your postcode into the search bar above and find a CBT site and date that works for you. If you have any questions just give us a call.